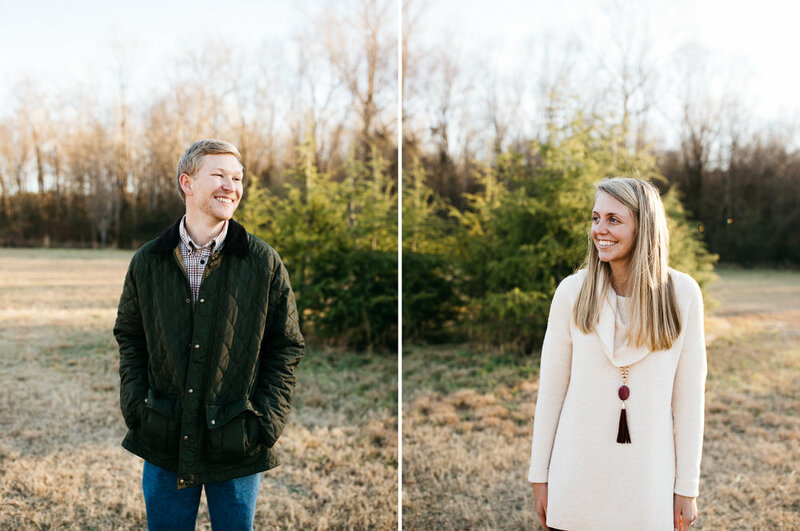 Last weekend, I was asked to photograph a proposal for two friends from Clemson, Ethan and Rachel. Ethan and Rachel met at Clemson while they were students and were friends for most of college, but their senior year they started dating and the rest is history! I was honored to help Ethan surprise Rachel with the sweetest and most thoughtful proposal, full of pictures of them, a wooden bench he made for their home, and sweet letters he had written for her full of love and his vision for their future together. Rachel was surprised, excited, and #panicked to say the least, and after the proposal we went out into the pasture and took some engagement pictures! These pictures are full of all of their love, giddiness, and excitement from the moment, and it's obvious how much these two care for one another. Rachel & Ethan, I am so excited for this season you are entering into and I cannot wait to see your journey as you two become husband and wife later this year!